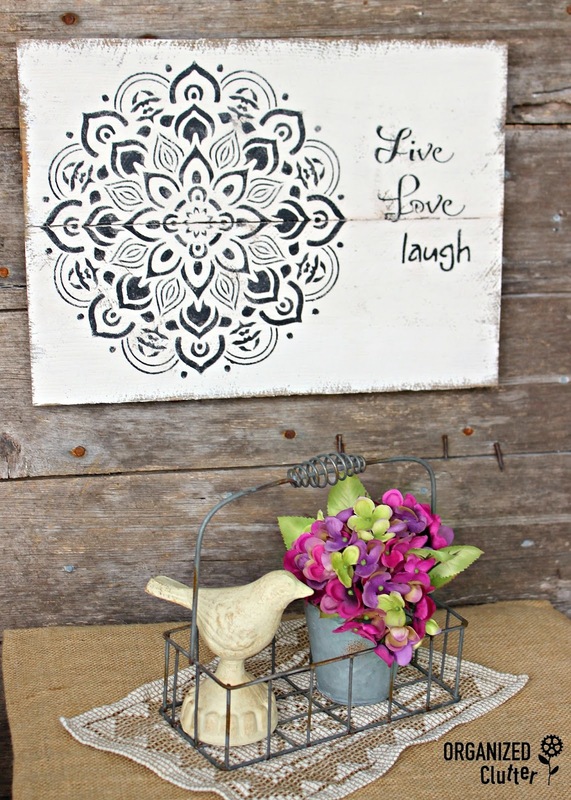 I just love the Mandala stencil from DecoArt. I have the 10" x 10" size from Home Depot. You can also get a DecoArt Mandala stencil in 12" x 12" and 18" x 18". I think of the Mandala as a doily, but it is a very trendy design in the Boho decorating. Here I have two 15" lengths cut from a 5/8" x 6" x 48" cedar fence picket from Menards. I attached them on the back with two thin slats. I then stained my sign with my vinegar and steel wool homemade stain. This stain works well for aging new boards. They take on a gray appearance. Next I lightly brushed on Dutch Boy Chalky Finish Paint in Antiquated Lace. I wanted some of my rough sawn boards to show on the edges and show through on areas in the center as well. 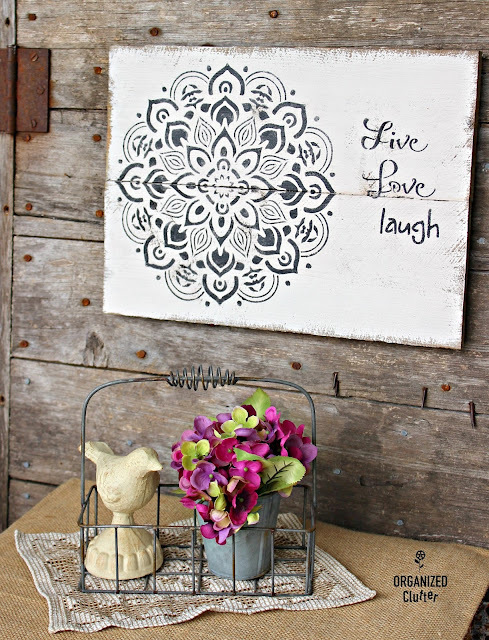 I used black craft paint to stencil on the Mandala design. 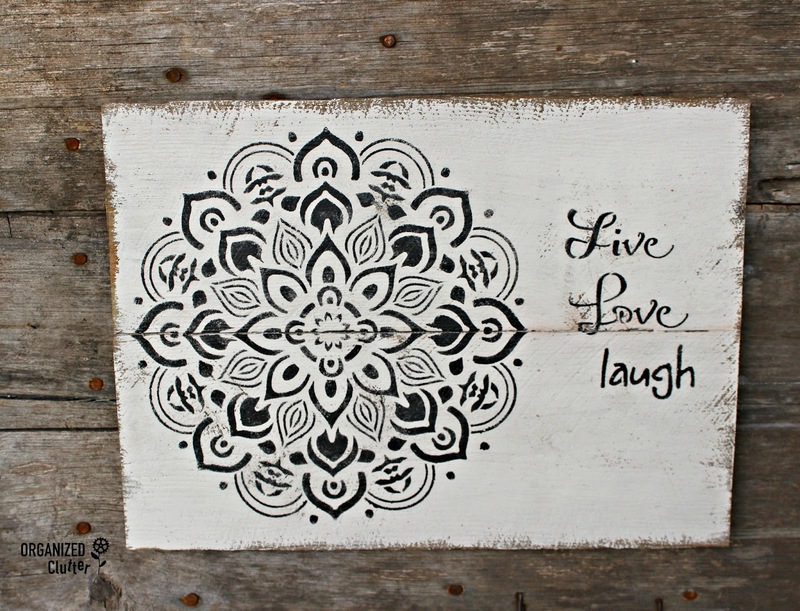 The Live, Love and Laugh words are from another DecoArt stencil . I then sealed the sign with Deco Art Americana Decor Creme Wax, 8-Ounce, Clear . This wax works well for small pieces painted with chalky paint. Easy brush application and easy clean up as well as it is water based. A sawtooth hanger was attached to the center back of my sign. 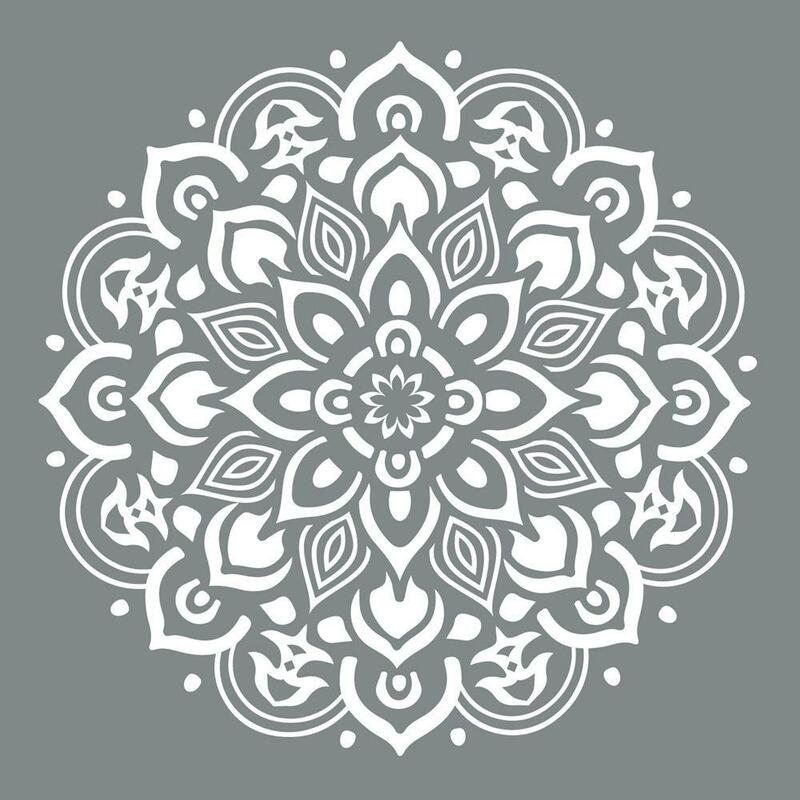 Are you a fan of the Mandala design? Carlene, next time make an extra one for me ok??? LOL...love that stencil, on my to get list!